Lice may be small, but these parasitic insects can cause serious itching and irritate youa lot. They can grow quickly and pass from one person to another simply by sharing hairbrushes or hats. It is important that you take steps to get rid of lice as soon as you notice that you or your child has developed them. While there are many effective ways to resolve the issue, some people believe that hair dye is equally effective. Can hair dye kill head lice?Keep reading to find out yourself. Yes, there are instances when bleach and hair dye can kill both adult lice and nymphs (juvenile lice). Some brands of hair dye contain chemicals that may be toxic to lice. However, it proves ineffective against lice eggs (nits) because the chemicals cannot penetrate the shells. It means you will again develop the same issue because these eggs will hatch in 7-10 days and you will find new lice in your head. Find nits hideouts first. Adult female head lice lay nits at the base of your hair, near the scalp and behind the ears. They may also be at the neckline at the back of your head. Identify all these hideouts before going any further. Get rid of the nit glue. For this, you need to apply a mixture of vinegar and water on your hair for about an hour. Be sure to apply it to your scalp as well. You can also soak your hair in vinegar for some time for good effects. Then, comb your hair thoroughly to remove the "glue" that nits use to stay attached to your scalp. Use combs specifically designed to get rid of lice. You can find electronic combs that you can use on dry hair to kill lice. You can also add some Listerine to the ends of the comb and use it to eliminate lice. Get your favorite hair dye and apply it on your hair. Does hair dye kill head lice?You will know for sure once you apply it yourself. Theoretically, the chemicals in hair dye are potent enough to kill living lice. You may want to try it on a small area of your hair first to notice any change. If it works, you can apply it on the rest of your hair. You can also consider dip dying the hair and wait for 45 minutes to rinse the hair. Make use of lice and nit shampoo. 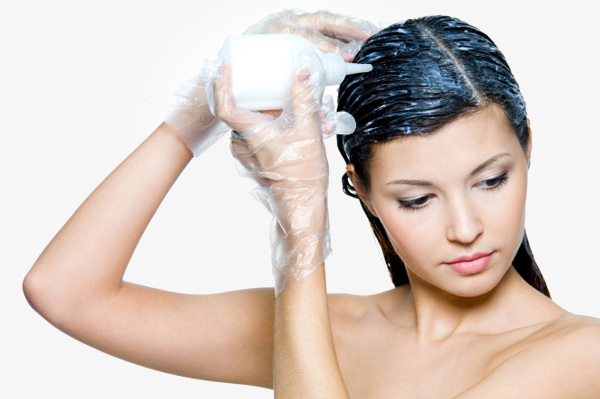 If you do not get great results from hair dye, you can find lice shampoo to kill the head lice and nits. Be sure to use a specially designed lice comb after shampooing. Use heat to get rid of lice. After using your shampoo and lice comb, you need to treat your clothes and personal items to get rid of the remaining lice. Bed-wetting, washing machine, or drying items will help kill the lice at a temperature higher than 130°F (54.4 °C). Be sure to re-treat your hair at least once a week in the beginning and then every 10 days. Does hair dye kill head lice? Yes, it does, but there are limitations. Hair dye is not effective against nits, so you need to use the lice comb and shampoo for better effects. However, there are other ways to achieve great results. Laundering clothing, bedding, hats, stuffed animals and towels with hot water (130°F or higher) and soap will help kill the lice. You should also dry these items on a high heat setting for at least 20 minutes. It is easy to find several over-the-counter lotions and shampoos that kill lice – Nix and Rid may help in this regard. You should not be using OTC products if your child is under two years of age. The best option would be to use a fine-toothed comb on wet hair. Repeat every 3-4 days for a couple of weeks. Talk to your pediatrician if you can use other treatments with combing. Malathion is an effective option. You need to rub it into your hair and scalp. Be sure to keep it away from heat sources and avoid using it if you are pregnant or are breastfeeding your baby. Benzyl alcohol lotion(Ulesfia) is another nice option to try. You have to apply this lotion directly in your scalp and hair. Leave it for 10 minutes and then rinse it off with cool water. Apply it again after a week. Benzyl alcohol lotion may cause scalp, skin, or eye irritation, so use with caution. Lindane may be effective, but you should only use it when other options have failed. It may not suit everyone and even cause neurological side effects. Never opt for it as a first line of treatment.